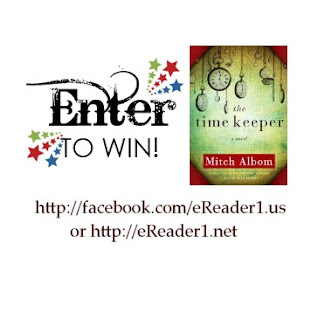 PRIZE GIVEAWAY: 1 winner will receive a Kindle edition of The Time Keeper. Only the first option is mandatory to enter - that's to be a member of our facebook page and then enter at our contest page. All other entries are optional & some can be done more than once. More details: The Time Keeper.